Firefox saves your personal information such as bookmarks, addons, passwords, and user preferences in a set of files called your profile, which is stored in a separate location from the Firefox program files. You can have multiple Firefox profiles, each containing a separate set of user information. 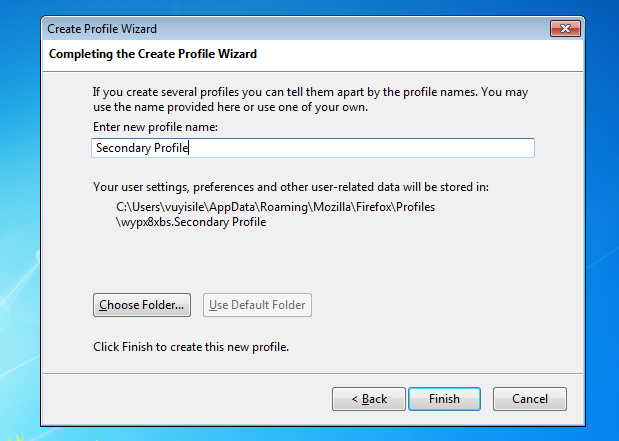 The Profile Manager allows you to create, remove, rename, and switch profiles. 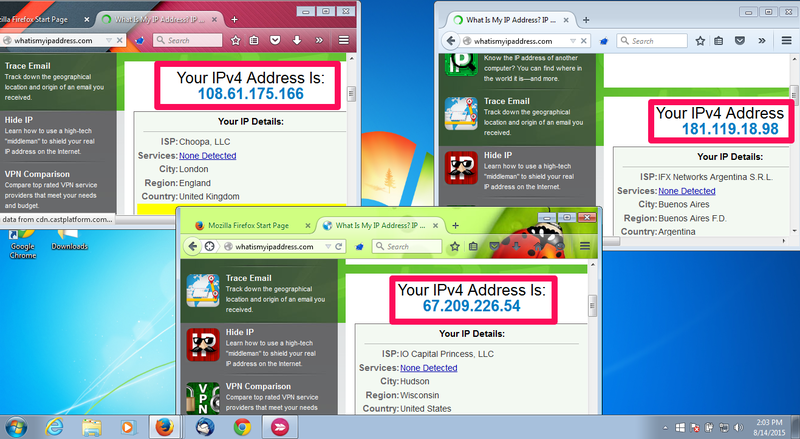 It is possible to take advantage of the Firefox Profiles feature in order to run multiple independent instances of the browser, each connecting to a different proxy. 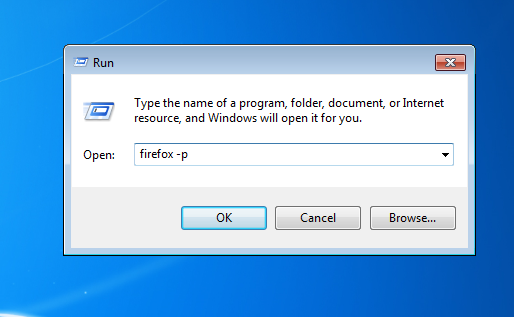 The Profile Manager is not visible in the Firefox User Interface, running it will require typing commands into a terminal or using the Run Dialog for Windows. Before starting the Profile Manager, make sure that Firefox is completely closed. 2. Give the profile any name you want Repeat the steps above for every profile that you need to create. 3. 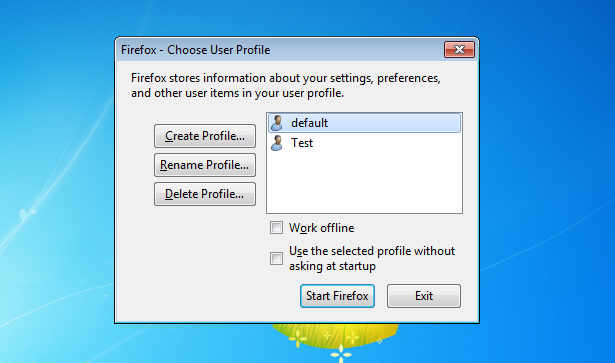 Uncheck the box that says Use the selected profile without asking at startup to prevent Firefox from using the selected profile automatically. Once you have set up the profiles you need, you’re almost good to go. Now you need to run the individual profiles and install the [FoxyProxy Addon] in each of them. [This guide] will show you how to install FoxyProxy Firefox plugin. When Firefox is running and you try to open another Firefox process, a new window is opened instead, in the already running process. You can use the -no-remote command line option to start a new Firefox process that is invisible to the first process. After downloading and installing the FoxyProxy addon to each browser instance, configure each profile to use it’s own proxy.